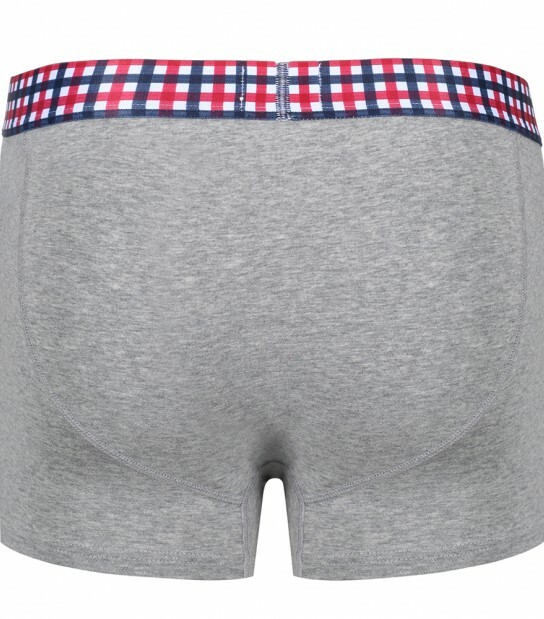 Why not replenish your drawer with these Ben Sherman Evan Boxer Trunks. In a handy 3 pack, they have been made from cotton for a soft and comfortable feeling all day. Available in the three pack is a Navy, Charcoal and Grey Pair and the either have a check pattern waistband or Ben Sherman branding.